London, UK – Arq, the UK-based energy technology company, today announces the appointment of Sir Mick Davis as a non-executive director on its Board. Davis brings many years of mining and energy experience to the Arq Board. He was formerly Chief Executive of Xstrata, the Anglo-Swiss mining entity, until it merged with Glencore in 2013. He had previously held the role of Chief Financial Officer of Billiton plc. Since June 2017 he has been CEO and Treasurer of the UK’s Conservative Party. Davis’ appointment follows hard on the heels of the appointments of Vitol’s Mike Muller and former BP Chief Scientist Bernie Bulkin to the Arq Board in October, as Arq bolsters its impressive team of highly experienced non-executive directors. Davis joins the Board as Arq prepares to rapidly scale its international business and to partner with coal and energy industry majors across the globe. Next year will also see the launch of the first Arq Technology plant in Corbin, Kentucky USA. Arq, the new UK-based energy technology company, today announces the appointments of Bernie Bulkin and Mike Muller to its Board of Directors. Bernie Bulkin was Chief Scientist at BP, where he held several other senior positions including Director of Manufacturing Supply and Distribution, VP Environmental Affairs, and Chief Technology Officer, BP Oil. 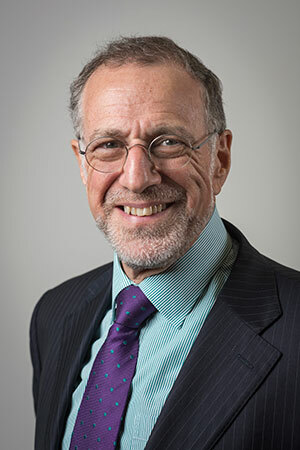 Since 2004, Bulkin has chaired two UK public companies, served on the boards of numerous other public and private companies, as well as holding senior academic and government posts in the UK and the US. As the Arq team prepares to launch its new technology, which will supply novel hydrocarbon energy products to global energy markets, Bulkin’s wealth of technological and industry expertise will strengthen Arq’s ability to innovate quickly and respond to market drivers. Mike Muller, described by Reuters as one of the world’s most powerful oil traders, will also provide a wealth of experience and knowledge to the Arq Board. Muller recently joined Vitol, the world’s largest independent oil trader. A Cambridge graduate, he is the former Head of Crude Oil Trading at Royal Dutch Shell, where he worked for 29 years. Muller’s successful track record of supplying the market with valuable oil products and his deep understanding of customer requirements will provide valuable insights for the Arq team as it starts to develop long-term relationships with the world’s largest and most respected oil companies. Julian McIntyre tells House Committee on Natural Resources that Arq will clean up coal waste, producing more from less Founder and CEO Julian McIntyre today outlined Arq’s radical approach to producing the lowest-cost hydrocarbons on the planet to the U.S. House Committee on Natural Resources. In a Q&A following the presentations, Congressman Gosar challenged those who had presented to the committee on whether any of them had proposals on how to mitigate environmental effects of coal. Julian confirmed that Arq’s technology was reducing pollution and emissions from coal in three ways: first, by cleaning up coal waste with private dollars; second, by creating energy without extraction (15% of emissions coming from extraction); and third, by removing dirt and water from coal before combusting it. 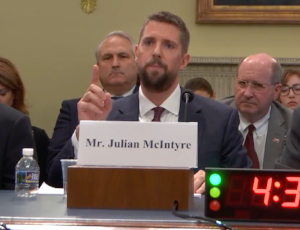 Watch the video recording of the U.S. House Committee on Natural Resources, ‘Assessing Innovative and Alternative Uses of Coal‘. For more information about Arq or to see the film which was played to the Committee following the presentation, visit the Arq homepage. Entech group Arq has signed landmark deals with both Vitol and Peabody to advance its novel technology and has raised over $50 million of new equity at a valuation of over a half-billion dollars (US). For almost 100 years, the energy industry has struggled to find a cost-effective way of upgrading coal into oil. Arq Technology™ represents a major breakthrough in this field, achieved by inventing a low-cost mechanical process for treating coal as a micro-particle system. The resulting product, Arq Fuel™, is a new energy source which is ideal for blending directly into oil products without the need for expensive liquefaction. Arq has partnered with Vitol to distribute Arq Fuel™ globally. Vitol is the world’s largest independent oil trader, trading over 7 million barrels of crude oil and products a day. Vitol will blend Arq Fuel™ into fuel oil and crude oil. Vitol will work to position Arq Fuel™ as a low-cost blending component with specific customers. These are initially envisaged to include consumers of fuel oil and, subject to ongoing testing, oil refineries. Arq has also partnered with Peabody, the leading global pure-play coal company and a member of the Fortune 500, serving power and steel customers in more than 25 countries on six continents. The company offers significant scale, high-quality assets, and diversity in geography and products. Together, Arq and Peabody will work to identify Peabody mine sites where Arq technology can be deployed. Arq’s technology upgrades discarded coal fines and it has the potential to substantially reduce the environmental footprint of mine sites. This approach aligns with Peabody’s commitment to sustainable mining practices. At the same time as entering into these landmark transactions with market-leading energy companies, Arq has raised over $50 million of new equity at a valuation of over a half-billion dollars (US). This includes an initial investment of $10 million from each of Vitol and Peabody; the agreements envisage Vitol and Peabody investing further in Arq over the next 3 years. Arq’s first plant in Corbin, Kentucky, is nearing completion. Arq Fuel™ will be available in early 2019. Muller of Vitol, said: Arq fuels will be pure hydrocarbons – combining them with fuel or potentially with crude provides the opportunity for refiners and fuel customers alike to diversify into a new and cost-effective source of supply, whilst the production of Arq fuels also has a beneficial environmental impact. We are pleased to be able to exclusively offer our customers the option of accessing an innovative new fuel component which has the potential to materially improve their competitiveness. Charles Meintjes, Executive Vice President – Corporate Services and Chief Commercial Officer of Peabody, said: We believe our partnership with Arq represents a rare opportunity to add value to our product, reduce our environmental footprint and expand the market for our product at the same time. While the process is at early stages, we look forward to next steps to prove out the operations and assess our sites for the applicability of this exciting technology. Energy technology company Arq benefits from Cornish mining expertise One of the UK’s most talked about and disruptive energy start-ups, Arq, has committed to invest in a new technology and innovation centre near the historic Stannary city of Truro, Cornwall. Arq has selected Grinding Solutions to leverage its extractive innovation, comminution technology and fine particle science. Cornwall has a rich history of exporting valuable mining technology and mineral processing skills across the globe and is home to the world-renowned Camborne School of Mines. 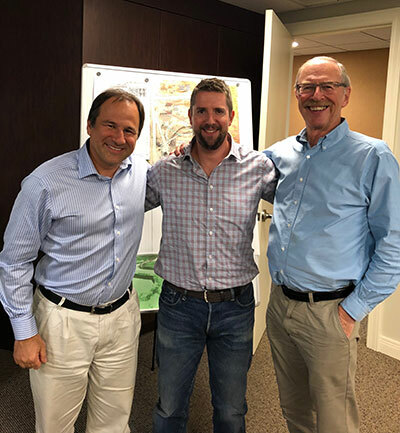 Cornwall continues to shape and influence the global mining industry with over 90 mining technology companies operating in the county and is also seeing a resurgence in mining activity. For the first time, Arq will be transferring metallurgical hard rock mining knowhow and applying it to coals and fuels. Although these sectors have suffered from a dearth of investment in recent years, Cornwall retains a deep knowledge and intellectual capital rooted in its people and the community which Arq will use to bring new impetus to the coal industry, globally. Arq will apply the cross functional use of long-standing minerals processing capabilities to optimise its own breakthrough energy technology which transforms the discard produced by coal mines into a new source of low cost energy. This novel process, Arq Technology™, involves the reclamation of extracted materials from coal mining underflow or legacy discard and then grinding it down to particles of 5 microns or less which can then be separated into over 99% pure hydrocarbons and inorganic material (ash). This microfine hydrocarbon (Arq Fuel™) is far more valuable than traditional coal because it can contain less than 1% ash and almost no water. This increase in value has the potential to change the face of the coal business across the world. It’s not the first time the Cornish will have pioneered innovative new technologies. Many of their inventions are now commonplace in mining communities and have played a measurable part in growing international economies worldwide. Arq have partnered with a local company Grinding Solutions, the leading fine mineral processing company, to develop and manage the Arq Technology Centre which has additional scope for future expansion. Through its thought leadership and innovative culture Grinding Solutions attracts the best people internationally to work on fine particle sciences, which is why they were a natural partner for Arq. This further strengthens and supports Arq’s existing new products R&D facility, based in Billingham County Durham, the UK’s knowledge centre for chemicals processing and refining.